Hey Coffeeholics! One of the things I promised myself this Summer was that I will try my best to stay fit. Yes, I swore to my bff that we will jog, walk, play badminton, and well basically do everything I can to exercise and lose weight this summer break! NO couch potato for me this summer. Well Reebok Crossfit Philippines also has this in mind and just launched their new fitness campaign here in the Philippines. Check it out! 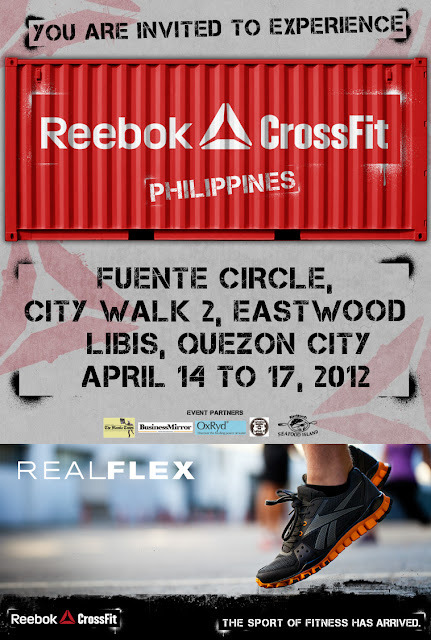 Yesterday at Eastwood City Walk 2, April 13, 2012, Friday -- Reebok just launched a new fully-integrated campaign – The Sport of Fitness Has Arrived – in the Philippines. As a part of the campaign, Reebok is inviting consumers to take part in the “Reebok Experience Zone” to discover and experience CrossFit®, the revolutionary strength and conditioning program, and RealFlex, Reebok’s latest footwear technology engineered with independent multi-directional nodes that promotes natural movement and flexibility. Reebok’s new campaign aims to change the way people perceive, define and experience fitness, and ultimately show the world that fitness can deliver everything they love about sport. The campaign unveils this sport – one that is about community, competition, camaraderie, and results – through its focus on CrossFit, one of the fastest-growing fitness movements in the world. The global TV spot can be viewed at: http://reesha.re/TSOFHA. The Reebok Experience Zone is a free and interactive retail event for consumers of all ages to participate in. Visitors can take part in a “CrossFit Challenge” by trying on RealFlex shoes and various CrossFit movements including Box Jump, Jump Rope and Air Squat. The partnership between Reebok and CrossFit, which was forged in 2010, is a natural collaboration between two companies that are committed to empowering people around the world to be fit for life.Reebok opened its first Reebok CrossFit box, Reebok CrossFit One, for employees at its global headquarters in September 2010, and by doing so became a part of CrossFit’s worldwide network of affiliated gyms. Today, more than 400 employees a week complete WODs at Reebok CrossFit One. 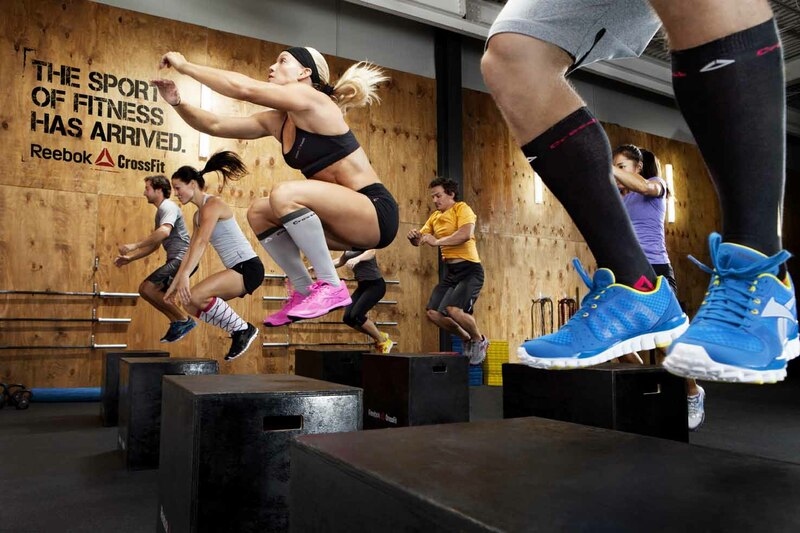 Globally, nearly 1000 Reebok employees are CrossFitters. Also, nearly 100 employees have completed the CrossFit Level 1 trainer course. Reebok also supports CrossFit’s fitness program and the CrossFit community through a number of initiatives and activities, including sponsoring The 2012 Reebok CrossFit Games and additional Reebok CrossFit box openings. CrossFit offers specialty certificate courses and programs, including the CrossFit Kids program; publishes the CrossFit Journal; and created and operates the CrossFit Games, an annual event which seeks to find and crown the Fittest on Earth™. There are currently more than 3,000 affiliated gyms in the global CrossFit training network. For more information, please visit www.crossfit.com, http://www.facebook.com/crossfithq or http://www.youtube.com/user/CrossFitHQ. CrossFit is a registered trademark and 3, 2,1..Go! and Fittest on Earth are trademarks of CrossFit, Inc. in the U.S. and/or other countries. So Coffeeholics, if you happen to be at Eastwood City Walk or have plans of going there this weekend, don't forget to drop by the Reebok Experience Zone and check this out!